There are days when all you want to do is eat peanut butter straight out of the jar for dessert, and then there are days when you're willing to pull out all the stops. NOTE: Good quality store-bought ice cream is absolutely fine to use here. I have my own hens who lay the most fabulous eggs so I made my own. My girls would be mightily offended if I didn't take the opportunity to use their eggs in something other than an omelet. Put the cream, milk and vanilla (both seeds and pods) into a saucepan and heat over medium heat until it just starts to simmer. Set aside for 30 minutes for the flavours to develop. In a large mixing bowl, whisk the eggs yolks, sugar and salt together. Remove the vanilla pods from the cream mixture and start to incorporate a little of the cream mixture into the egg mixture. Keep adding a little at a time until it is fully incorporated. Pour all the mixture back into the saucepan and heat over low heat, stirring until it thickens. The mixture should coat the back of a wooden spoon when it is done. Remove from the heat, strain through a fine sieve and chill completely in the refrigerator. Once completely cold, churn the mixture in an ice cream maker according to manufacturer's instructions. Serve soft immediately, or put it in the freezer to firm it up. Put the sugar in a saucepan and add 1 tablespoon of water. Heat over medium heat and stir until the sugar dissolves. Stop stirring, increase the heat to medium-high and simmer for about 5-6 minutes, until you have a deep golden caramel. 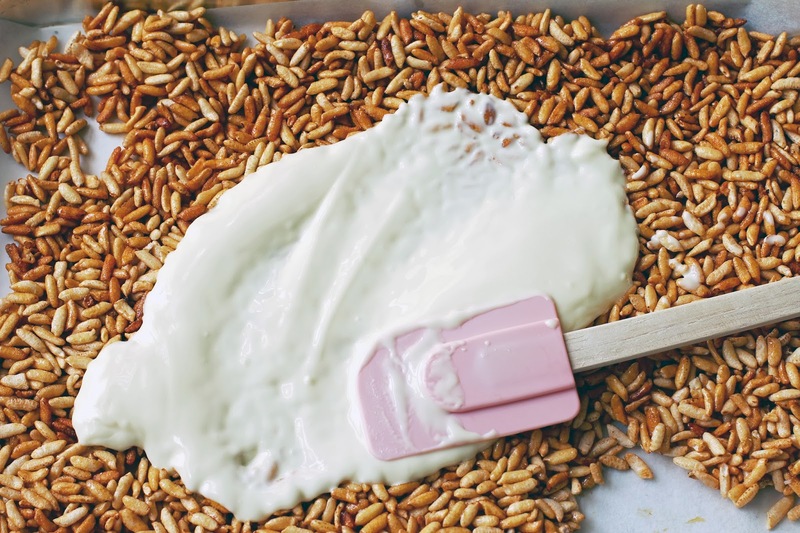 Working quickly, add the puffed rice and stir to combine then pour onto the prepared baking tray. Cover with an oiled piece of baking paper and press to flatten. I used another baking tray to flatten it. Set aside for 30 minutes to set. 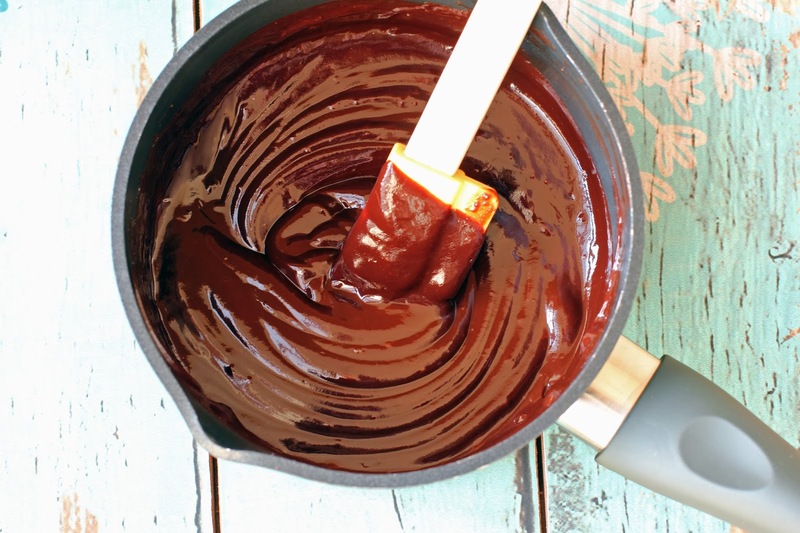 Melt the chocolate in a bowl set over a pan of simmering water, Don't let the bowl touch the water. 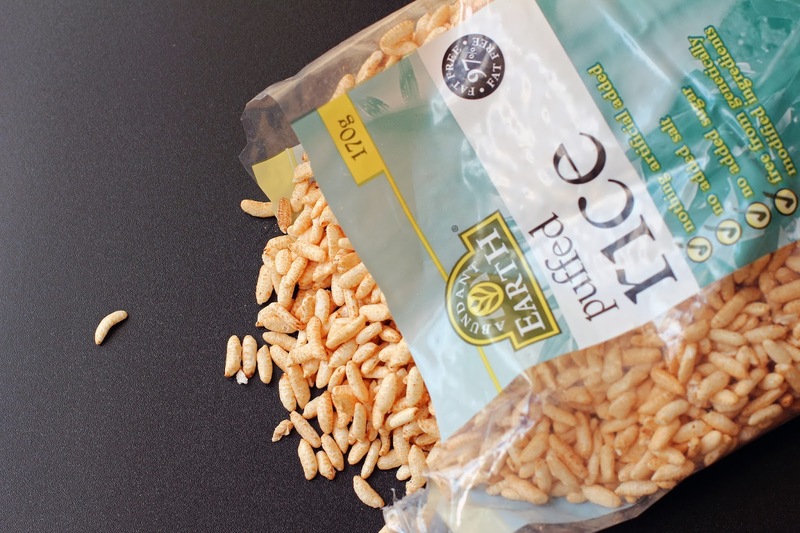 Stir until smooth, then spread over the puffed rice and chill for 30 minutes. Once set, break into small pieces. 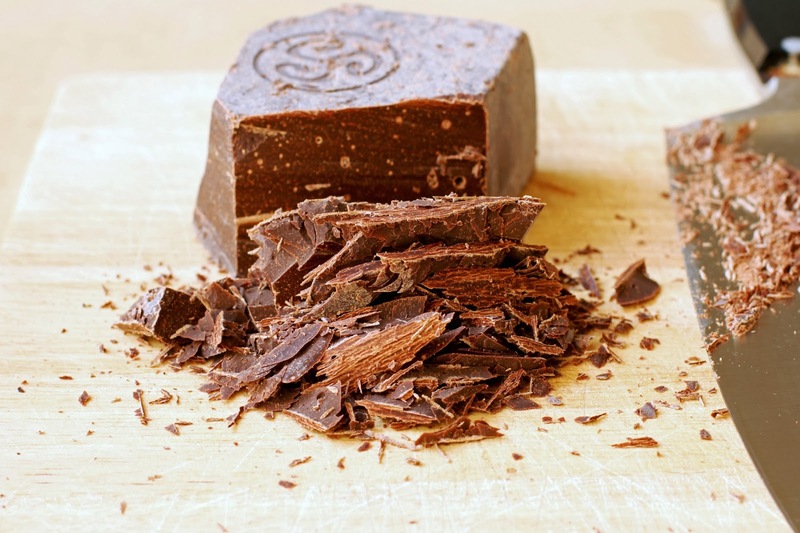 Put the chopped chocolate into a heat proof bowl and set aside. Place the cream in a saucepan and bring to simmer over medium heat. Pour the hot cream over the chocolate and stir to melt the chocolate. Whisk in the egg yolks and set aside to cool. In a separate bowl, whisk the egg whites until soft peaks form, then gradually add the sugar until the mixture is stiff and glossy. Fold one-third of the egg whites into the chocolate mixture to loosen the batter, then fold in the remaining egg whites until combined. Chill for 3 hours until set. 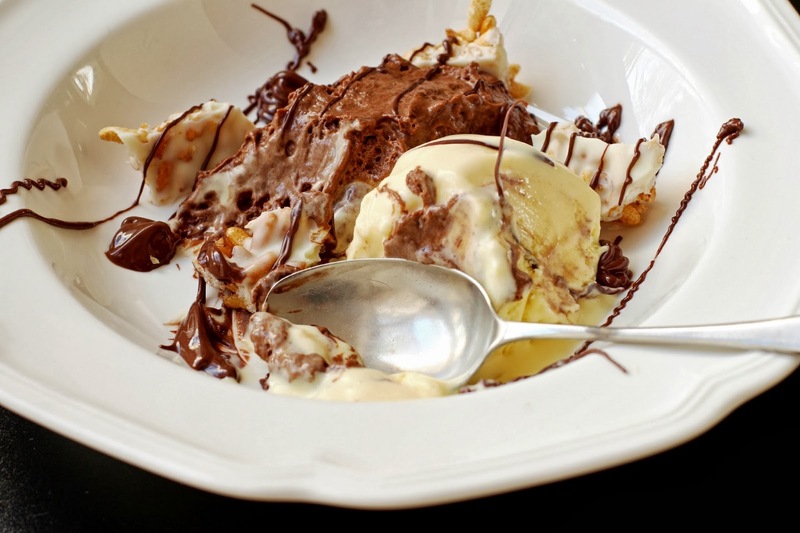 Put a scoop of mousse and a scoop of ice cream into wide bowls. Scatter small pieces of the caramel puffed rice around the bowl and drizzle melted dark chocolate. How amazing! I would love to make my own ice cream but don't have a churner - any tips? Thanks Sam. You can make any ice cream without an ice cream machine. Once you've mixed all the cold ingredients together and where this (and other recipes) tell you to put it in the churner, that's when you pour the mixture into a flattish freezer-proof container and pop it in the freezer. After an hour or so (depending on how much mixture you have and how big your container is), take it out of the freezer. You'll have a mixture that's a little frozen at the edges and still runny in the middle. Take a fork and run it through the mixture. Mix the frozen bits into the unfrozen bits. Continue doing this every hour or so until it's set. The more times you "churn" it, the smoother your ice cream will be. 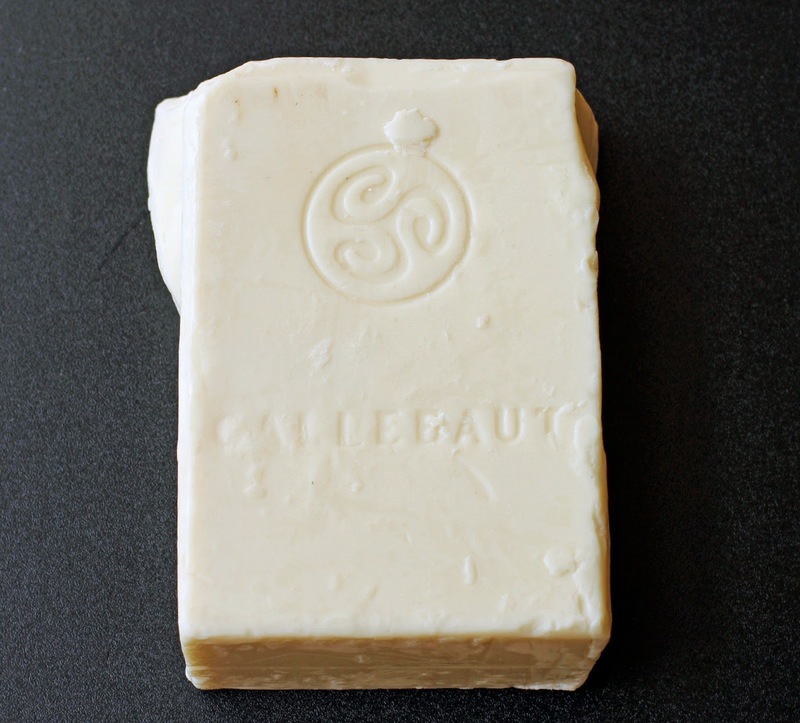 Some ice creams are naturally creamier and smoother than others. What the churning does, is stops ice crystals from forming and making the ice cream icy rather than creamy. Hope that helps. That's a fantastic tip Jen. I'll let you know how it goes. Thanks! 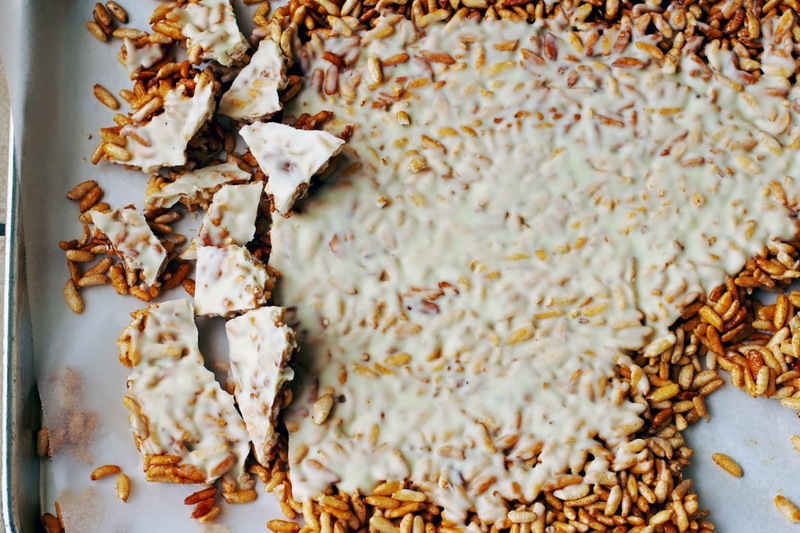 Oh looks lush and perfect (and caramel puffed rice!). I love chocolate mousse, it never goes out of style. 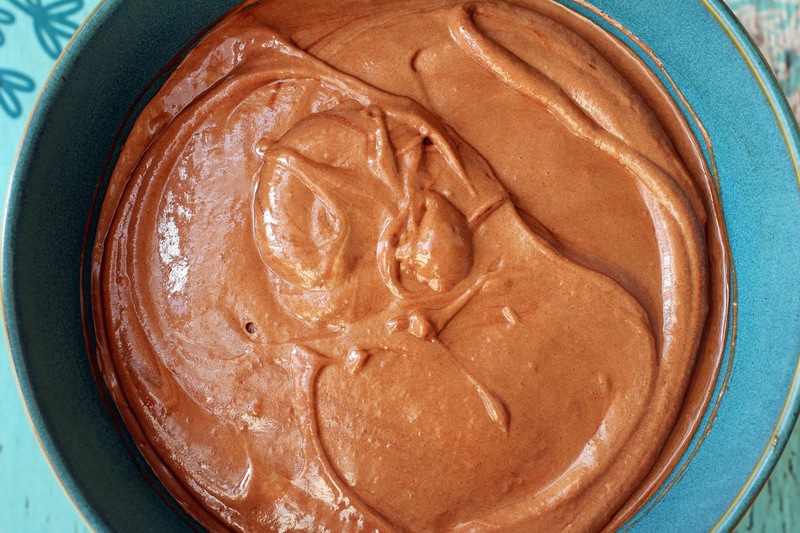 Chocolate mousse is the Little Black Dress of the culinary world. Okay, that's a perfect dessert and I'm sure it was incredible. You really know how to do it! Thanks Gabrielle. I get a lot of practice. When I awaken and see one of your dessert creations, my mouth waters. This looks like a restaurant quality dessert. Thanks Patty. You're so generous. This is amazing, really. WELL DONE! Thanks Jessica. 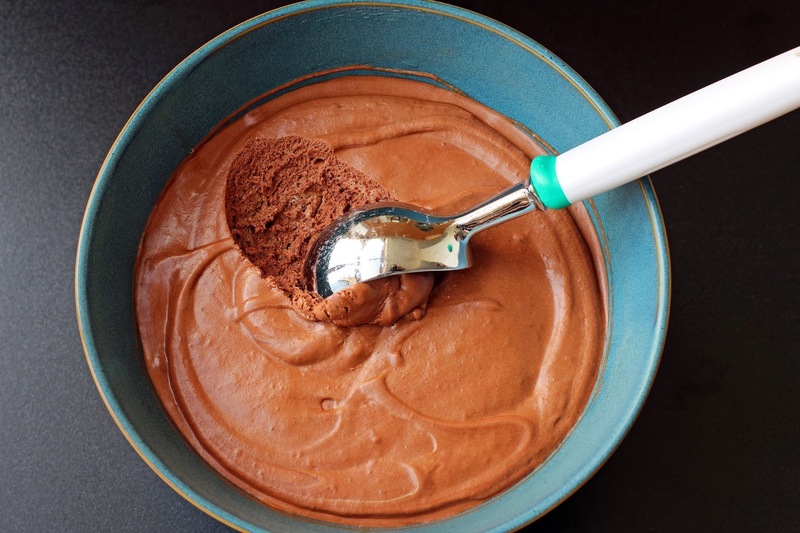 It's not hard to make mousse and ice cream look good. Thanks Amy. Ohhh, coffee ice cream sounds divine. I have an Ice Cream To Do List (every one has one of those,right?) and coffee ice cream is on it. Chocolate and coffee are dreamy together. Gah, that is so, so me! Love everything about this one Jen! I'm longing for hot summer days when I can make things just like this and sit outside savoring them! To sit in a summer garden with a bowl of ice cream and chocolate mousse is surely what dreams are made of.